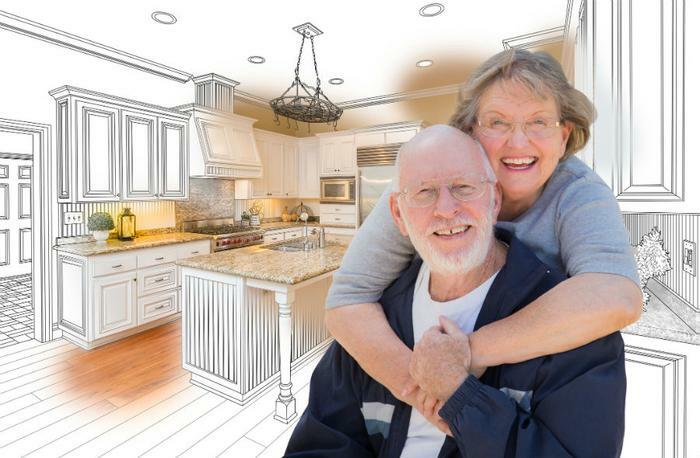 Homeowners are tackling projects that will allow them to remain in their homes as they age despite being unfamiliar with the concept of “aging in place,” according to new survey from HomeAdvisor. The company says a “holistic” movement is taking hold of homeowners, who are addressing issues now that could be unsafe later in life. However, respondents to the survey say that certain home improvements aren’t necessarily linked to aging concerns. Only half of those who participated in HomeAdvisor’s survey were familiar with the concept of “aging in place.” However, most were completing projects to improve the ease of living in their home. From fixing a cracked walkway to eliminating labor-intensive chores, homeowners are making improvements that can help them remain safely and comfortably in their homes as they get older. "By taking a holistic approach to home improvement, homeowners will get their homes in good working order before aging-specific home improvements become necessary," said Marianne Cusato, Adjunct Associate Professor at the University of Notre Dame's School of Architecture. "Take the front walkway for example. If there are cracks or dips in the concrete, homeowners need to address those existing safety issues before completing a project like adding grab bars, which they may or may not need in the future,” she added. But “aging in place” isn’t just about adding railings and ramps. Almost half of homeowners aged 75 and older said they began improvements early with the expectation that they would grow older but remain in their home. Some of the most desired additions that respondents cited were lever-style door knobs, pull-out shelves, and smart fire detection and security systems. Homeowners in the 55-75 age range also said they were making modifications that could help pave the way for easy aging but also be useful in the meantime. Projects included adding smart automated features, like a smart thermostat or voice activated systems, and adding grab bars and higher toilets in bathrooms.